SAN LORENZO, Puerto Rico — As Puerto Ricans struggle to get back on their feet nearly four months after Hurricane Maria, some parts of the island feel like the devastating storm just happened — no power, no water and little access to provisions. In these areas, volunteers like Nicole Bonilla are a crucial lifeline, especially for older and ill residents. “The biggest need I’ve seen is [people] not having their medication. If they don’t have it, they’re going to die; slowly, but they’re going to die,” said Bonilla, 28, as she visited a household and treated an elderly resident. Bonilla is a nurse from the mountain town of San Lorenzo, in the eastern central part of the island. Right after the storm, on her days off from her job at Ryder Hospital in Humacao, she would trudge through brush and debris in remote towns and knock randomly on doors, delivering supplies to people who had dwindling amounts of food, water and medicine. In early December, Bonilla lost her job at the hospital. The largest facility in the area, Ryder was so badly damaged after Maria that entire sections had to be closed. That’s when she began volunteering full time. Each day, Bonilla ventures out either on her own or as part of a group from a nonprofit or her church. She picks up donations, loads them into the trunk of her car and goes out to find people. “Every time I talk to someone that is high in the mountains, they say they haven’t seen anyone to help them," she said. Making daily life daunting, close to 40 percent of the island’s power company customers still do not have electricity, according to status.pr, a website that tracks the island’s infrastructure. Some mountainous areas are going to be without electricity for up to eight months, according to the U.S. Army Corps of Engineers. The hard-to-reach rural areas will bear the brunt and are not expected to have power restored until the end of May. The areas expected to take the longest are the towns of Lares, Utuado and Adjuntas, which together have a population of 80,000. The U.S. military formally ended its hurricane-response mission in November after clearing roads, attending to medical emergencies and helping restore communications. Because there are so many people in isolated areas, it’s not always easy to find them. “It’s a big challenge — how to find people who are difficult to get, how to walk two hours just to get to a family, how to reach the unreachable people,” said Frank Tolentino, a pastor at an evangelical church called Ministerio Cristiano Catacumba, in Caguas. 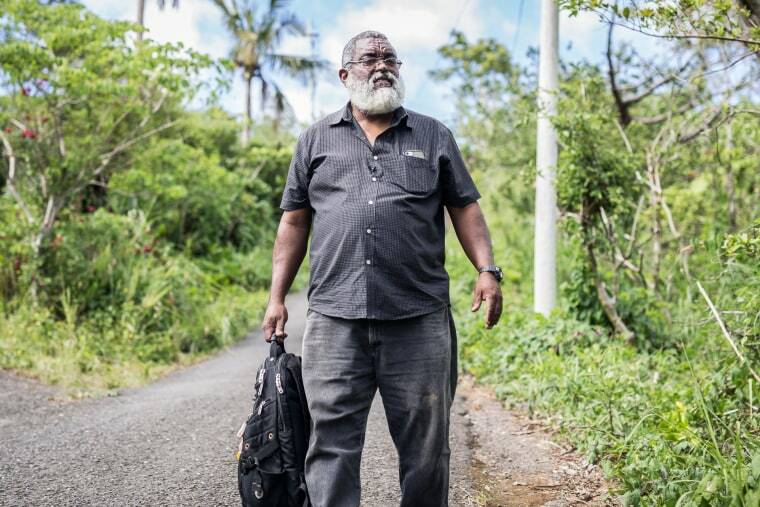 His congregation totals 90 to 100 people and each Saturday, he travels throughout the island with several members, as well as volunteers from other churches, to distribute aid. On Sundays, he focuses on helping residents in his hometown. Tolentino said he is thankful for the enormous amount of donations he has received, mostly from churches in Miami and Orlando, Florida. He doesn’t always know the groups that are sending aid, but the packages continue arriving, and volunteers find families who desperately need the help. Right after Hurricane Maria, many parts of the island were physically cut off as roadways were impassable for government help, including FEMA. In these neighborhoods, nonprofits such as churches and neighborhood associations played a life-saving role. “If it hadn’t been for the network of volunteers and the interest of those of us in Puerto Rico, with the help of those outside the island, the catastrophe would have been greater,” said Cecille Blondet, the executive director of Espacios Abiertos, or Open Spaces, an advocacy group that is calling for more transparency in government and is part of the Open Society Foundation. Espacios Abiertos has distributed over 2.6 million pounds of aid, and, with a staff of five, has relied heavily on volunteers to get aid to those in need, according to Blondet. Volunteers like Bonilla hope the residents they are helping are not forgotten. “We are trying to do our best, but I think we might need a little bit of help,” she said.